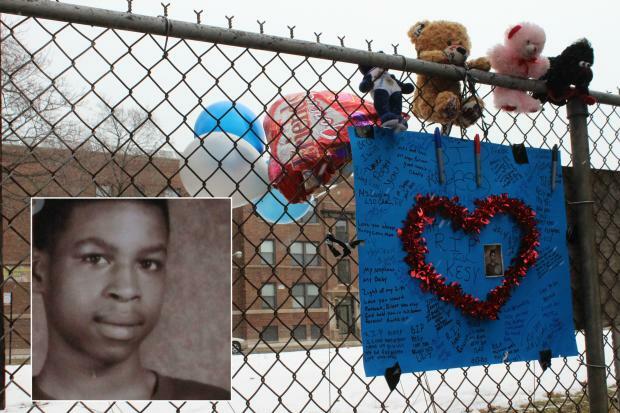 WOODLAWN — Marquise Harris died from a bullet in his chest. Police said the 16-year-old was shot late Saturday night after he got into a fight at a party hosted in his building. But Marquise's family told a different story, saying a fight between the teen's cousin and another man led to the shooting. "He wasn't at no party," Patricia Harris, Marquise's mother, said Tuesday. Harris said her nephew got into a fight with a neighbor in their Woodlawn apartment building about 11 p.m. Saturday. Marquise and his older brother were in their family apartment in the 6200 block of South St. Lawrence Avenue when their cousin called for help, Harris said. By the time Marquise and his brother got to the apartment, the fight had broken up, she said. The two brothers went back to their own apartment. But the neighbor came to their apartment a short time later, looking for Marquise's cousin, Harris said. And he brought a gun. "About 15 minutes later ... he knocked on the door, the front door," Harris said. "Marquise opened up the door, and he killed him." Marquise was shot in the chest. The teen stumbled back inside the apartment and passed out as his mother called an ambulance. Marquise was rushed to Stroger Hospital, where he was pronounced dead at 12:05 a.m. Sunday, according to the Cook County Medical Examiner's Office. At the time, police said Marquise was at a party in his building when he and his girlfriend began fighting. A man at the party intervened, and the fight escalated. The man came back a short time later with a gun and shot Marquise, police said. On Tuesday, police reaffirmed their version of events and said no one was in custody in connection with the shooting. But Patricia Harris said the police's story simply was not true. As she sat in her kitchen penning an obituary for her son, Harris said she was angry about how her son's death had been reported. "It was wrong," she said. "My son was a kind and sweet person." Marquise, the youngest of four siblings, attended Hyde Park Career Academy, his mother said. In a lot of ways, he was a typical 16-year-old boy. His favorite subject in school was math. He liked riding his bike, especially riding Downtown. Family described the teen as outgoing, except when it came to showing off his rap skills. He was a little shy about that. He was a music fan, and his favorite rapper was Chief Keef, family said. Harris said the death of her son came as a shock because her family has not had any negative encounters with neighbors before Saturday. But she said she is confident police will catch the gunman who lived so close to their home and took her son's life. "He was a loving, caring person," she said of her son. "He had a big heart."